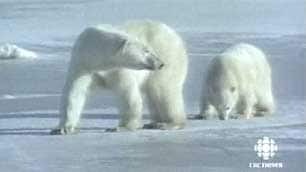 Three female polar bears were tagged with satellite collars during a research expedition on the Franz Josef Land archipelago in Russia’s far north, the Russian environment watchdog said on Friday. “The expedition found 40 polar bears,” the watchdog said, adding that the researchers had immobilized 12 bears, weighed them and taken blood and fur samples for genetic and biochemical tests. A similar expedition was carried out in April 2010 involving Russian Prime Minister Vladimir Putin. During the trip Putin put a satellite collar on a male polar bear, but the bear got rid of the tracking device six months later. Satellite collars allow scientists to follow the migration of animals, observe their daily and seasonal movements and identify habitats. According to environmentalists, the number of polar bears currently stands at 21,000 but in the next 50 years the population of the world’s largest predator may decline by 30-50%, especially in the Russian sector of the Arctic. In July, the Russian Ministry of Natural Resources and Ecology approved a strategy for polar bear preservation in Russia. 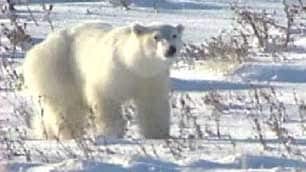 Biologists in the Northwest Territories have confirmed that an unusual-looking bear shot earlier this month near Ulukhaktok, N.W.T., was a rare hybrid grizzly-polar bear. The unusual-looking bear caught the attention of biologists after David Kuptana, an Inuvialuit hunter, shot and killed it on April 8 on the sea ice just west of the Arctic community, formerly known as Holman. The bear had thick white fur like a polar bear, but it also had a wide head, brown legs and brown paws like a grizzly. Kuptana said he shot the bear from a distance after it scavenged through five unoccupied cabins near Ulukhaktok, then tried running toward the community. 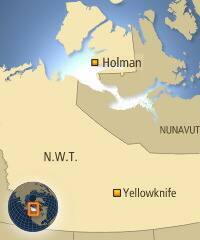 Wildlife DNA analysis shows the bear was a second-generation hybrid, officials with the N.W.T. Environment and Natural Resources Department said in a news release Friday. The bear was the result of a female grizzly-polar hybrid mating with a male grizzly bear, according to the department. “This confirms the existence of at least one female polar-grizzly hybrid near Banks Island,” the release said. Kuptana told CBC News he is currently selling the bear pelt to the highest bidder and has received calls from across Canada for the unique pelt. 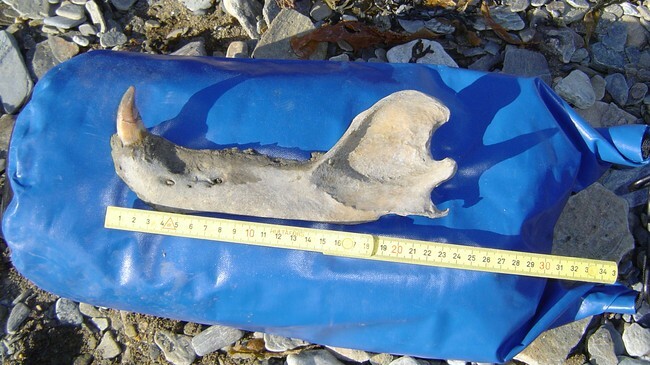 The N.W.T.’s first confirmed “grolar bear” was shot by a U.S. hunter in Sachs Harbour, N.W.T., located on Banks Island, in April 2006. More DNA tests are planned to determine whether the bear shot this month was related to the one from 2006. 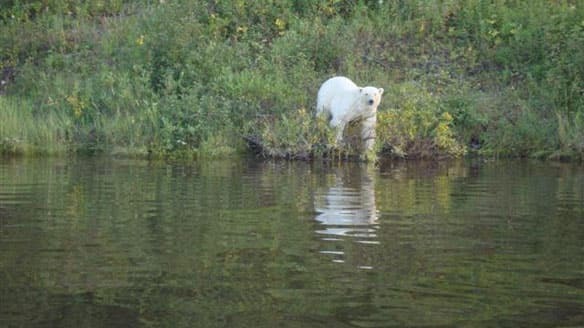 Hybrid bears will likely become more common in the North, as the direct consequence of climate change, predicts Brendan Kelly, a marine biologist with the International Arctic Research Center at the University of Alaska Fairbanks. In the absence of summer Arctic sea ice, polar bears are stranded on land and come into more contact with grizzly bears, he said. “We’re taking this continent-sized barrier to animal movement, and in a few generations, it’s going to disappear, at least in summer months,” Kelly said. Kelly said he has seen reports of harp seals and hooded seals interbreeding, as well as beluga whales and narwhal. Interbreeding helps species adapt to major shifts in their environments, he said. A polar bear was spotted today in Thistilfjordur, northeast Iceland by a farm worker who was stood less than 100 metres from the bear when she noticed. Police took the decision to shoot the bear, as conditions need to be right to affect a rescue – chief among them the stipulation that people not be endangered. The bear’s arrival in Iceland is highly unusual. Two polar bears were shot and killed in Iceland in the summer of 2008 and no others had been spotted for around 20 years before. 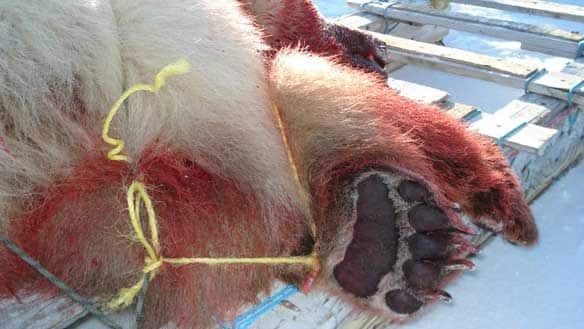 The three reasons stated for the decision to shoot the bear were: human safety, the abundance of polar bears in eastern Greenland (where the bear was almost certainly from) and the huge costs involved in capturing it alive and returning it home.